With so many choices, it can be a little frustrating when trying to shop for the best MTB for yourself. This guide walks you through what to look for and offers suggestions of our own favorites. The Diamondback Sorrento (2016 model) is made for beginning bikers who are operating on a low budget. Learn more about the features that make it stand out here. The Diamondback Mission 1 is full mountain bike perfect for intermediate-level riders who want the benefits full suspension at a reasonable cost. Our Diamondback Sync’r review covers the tech specs, pros and cons, and more of this hardtail mountain bike designed for aggressive off-road riders. The Diamondback Apex is a mid-range mountain bike that balances durability with value for a stable and enjoyable riding experience. Our Diamondback Mission 2 review discusses the tech specs and pros and cons of this full-suspension all-mountain bicycle to help you decide whether to buy it. After reviewing the Santa Cruz Tallboy, Bikes Reviewed found that it’s a must-buy for riders looking for an all-around mountain bike that can tackle any trail. With a blend of trail and DH bike features, the Santa Cruz Nomad delivers a nimble ride with responsive handling for riders who appreciate performance at a manageable price point. Bikes Reviewed takes a serious look at the pros and cons of the Santa Cruz Hightower. If you like riding hard on tough terrain, this MTB is definitely for you. Bikes Reviewed looks at the pros and cons of the Santa Cruz 5010. This all-around mountain bike is the ideal buy for hobbyists who enjoy backcountry rides. Bikes Reviewed takes a close look at the Santa Cruz Bronson. If you are looking for an MTB you can ride anywhere, the ever-versatile Bronson is for you. A competitive hardtail model that’s pleasant in terms of price point and performance, Giant’s Talon 27.5 4 impresses both sport and recreation cyclists. Giant Bicycles’ performance-level single track and trail bike, the 2018 Stance 1, packs power and agility into a lightweight frame that can handle obstacles with ease. The Rincon is Giant’s entry level mountain bike that utilizes the lightweight ALUXX frame designed to handle the demands of larger wheels and aggressive terrain. The Revel 2 is a high performing trail bike with a time-tested design of high quality components for demanding trails and riders alike. An affordable entry-level bike with plentiful comfort and functionality, Giant’s Boulder line of bikes (Boulder 1 and Boulder 2) lets newcomers roll out and start riding with minimal fuss. This downhill racing bike gives you the power and control you need to head down the roughest terrain. Here’s everything else you should know about it. Learn more about the many Contessa bikes within Scott’s female-specific lineup in this comprehensive review. The Contessa mountain bikes have woman’s seats and cool colors, and a unisex frame. Contessa road bikes have female-specific frames and finishing kits. Find a woman’s bike that is right for your riding style. An affordable, world-class hardtail bike packed with Scott’s innovative design features. This Scale 965 review covers everything you need to know about this cross-country bike, including detailed specs, pros and cons and price range. Competitive athletes love the Scale lineup by Scott. Find out why. The carbon frame BEIOU Toray T700 offers an incredible amount of performance and value for a cross country mountain bike costing under $1,000. The Gravity FSX 1.0 is an entry-level full suspension mountain bike that offers way more for its price range than you’ll be able to find for any other bike under $500. 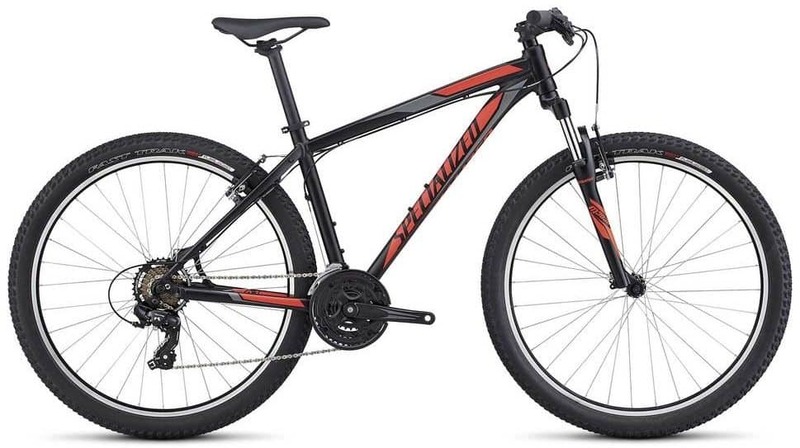 The Diamondback Laurito mountain bike is a versatile, capable mountain bike that offers a high level of performance and riding quality for decent price. The BEIOU 650B is the best of the best when it comes to carbon frame mountain bikes under the $2,000 price range. Read our review to find out why. The Diamondback Overdrive 29 is an affordable mountain bike that places an emphasis on control and speed while keeping the overall weight low.